The worst thing possible has happened to you: You have a relative, workplace Secret Santa, or otherwise resolutely difficult person to buy a gift for. Worse, you get the tiny slip of paper that tells you the arcane strangeness that you’re supposed to summon up to make them happy, and all it says is Magic: The Gathering (or MTG or The Card Game What Has The Main Phases and Attack Steps). Don’t fear or fret, because I am a noted expert in the myriad ways of Magic: The Gathering, and I am here to tell you the three things you should buy this holiday season for your emergency gift needs. Commander is a different format from normal Magic, but it uses all the same cards and rules. It’s a variation on the game that’s focused on playing in a specific way that requires a player to build her deck to exacting specifications. 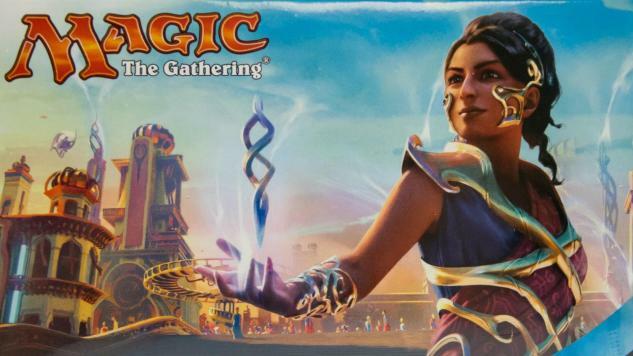 Both new and veteran players of Magic appreciate the format, and the preconstructed Commander deck product line is a good place to start for someone who is beginning to play the game or for someone who wants to strategically grow their collection and methods of play. While there have been several years of the Commander preconstructed deck product, with a brand-new 2016 version existing at this moment, I think the 2015 decks are much more interesting. The 2016 decks are perhaps a little more complicated than the average Magic deck, so the Commander 2015 products are a safer bet for people across the spectrum of play. To get the best deal on these decks, be sure to order from TCGPlayer if you’re looking to grab them online. 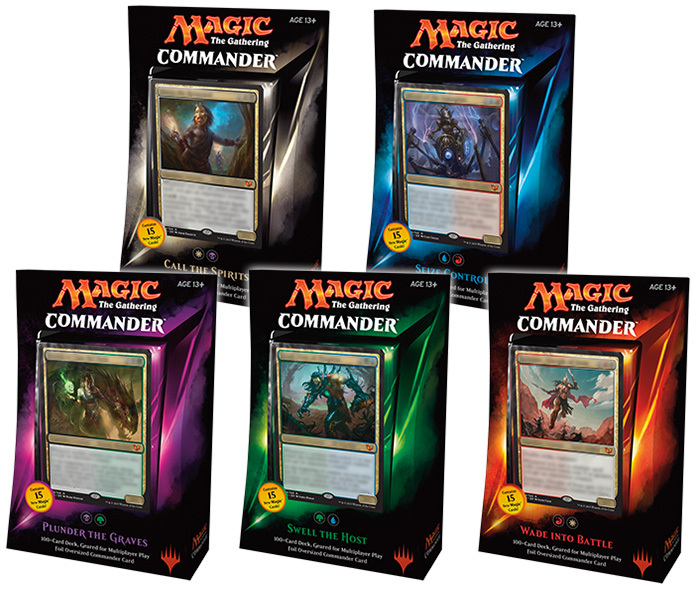 There are some complications of production that make the prices of Commander decks irregular, and TCGPlayer ensures that you’re getting a price lower than MSRP for all but the most sought-after decks. Owning a playmat is the real marker of the serious Magic player. It’s a mat that you put down on a table before playing, and theoretically it is used to make sure that gunk from a table doesn’t get on your nice cards. In reality, a playmat is used to signal that you’re a wicked cool person committed to the game. I have more than one playmat. I promise that I am a very cool person. There are a lot of ways to buy sweet playmats. You can buy any number of official Magic playmats from UltraPro’s store. You can buy some incredibly cute playmats, deck sleeves, and dice bags from Star City Games’s website if the person that you’re purchasing these things for has even the semblance of a heart. My personal favorite thing, however, would be to get someone a gift card to Inked Gaming, a website that will print a playmat of any image that you submit to them. This is the best way to make sure that the person getting your gift will be as happy as possible, and it also means that they can emblazon their own face on plastic for all eternity, just like Alexander the Great wanted. Magic is all about the cards, and those cards are, for the most part, sold in little packages of 15 at a time. Each regular pack has exactly 15 different cards, and every time a person opens one a small amount of pure happiness crawls out of their lizard brain like the first animal with lungs slorping up out of the sea. It’s an amazing feeling unparalleled by basically anything else, and that feeling alone has probably propped up Magic through the tough times. 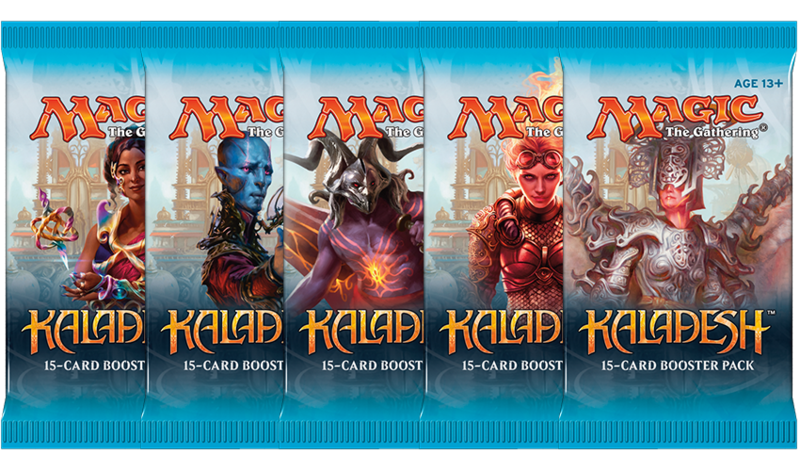 You can buy individual packs as your local big box store or go to the internet and buy packs from the latest set, Kaladesh. If this is a person you really love, you can also spend around $100 to buy them a booster box from which they can play many different Magic formats. They will also get a lot of that weird, fun brain feeling. I cannot overstate this feeling.